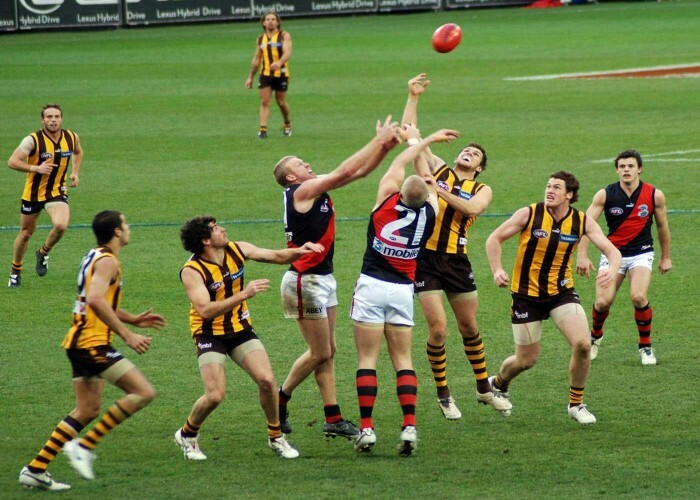 Fondly known as Aussie rules or Footy, Australian Rules football is a contact sport played between two teams consisting of 18 players each side on an oval shaped ground. The main difference between Association and Australian football is that the latter is played with an oval shaped ball and the ball can be touched with any part of the body in order to move the same. The sport was originated in Melbourne, Victoria in 1858 in English Public School of Football Games. Aussie rules was formed keeping in mind with the Australian conditions and something which is more suited to the adults of the nation. The rules of the game were published by the Melbourne Football Club in May 1859, making it the oldest of the world’s football sports codes. Australian football is played at an amateur level in many countries with a no. of variations and the highest governing body of the sport is AFL Commission. The objective of a team is to win the game by scoring more points via more no. of goals than the opponent. The sport is played between two teams of eighteen players each along with four interchanges. The players can place themselves at any position on the ground and can use any part of the body to move the ball. First of all, for this sport the field of play has no fixed dimensions but the senior level matches are typically played on the field measuring 135 to 185 meters in length and 110 to 155 metres in breadth with a set of two goal posts fixed opposite each other at both the ends. Similar to the shape of the ball, the field is also oval in shape. He is a professional player who plays for the Sydney Swans in the AFL. He is a dual-premiership player at Hawthorn, a six-time All Australian and a three-time Coleman Medalist and has many other achievements. He is an Australian rules football player who plays for the Geelong Football Club in the AFL. 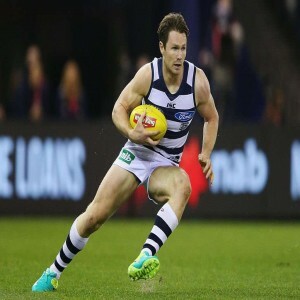 He is the winner of 2016 Brownlow medal, Leigh Matthews Trophy and Carji Greeves Medal. He has won many other accolades. 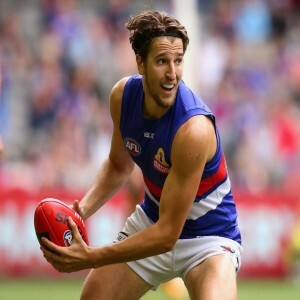 He is an Australian rules footballer who plays for the Western Bulldogs in the AFL. He is the winner of the Best First-Year Player award for 2014 and the runner-up of the 2014 AFL Rising Star award. He is a midfield player who plays with the Sydney Swans in the AFL. 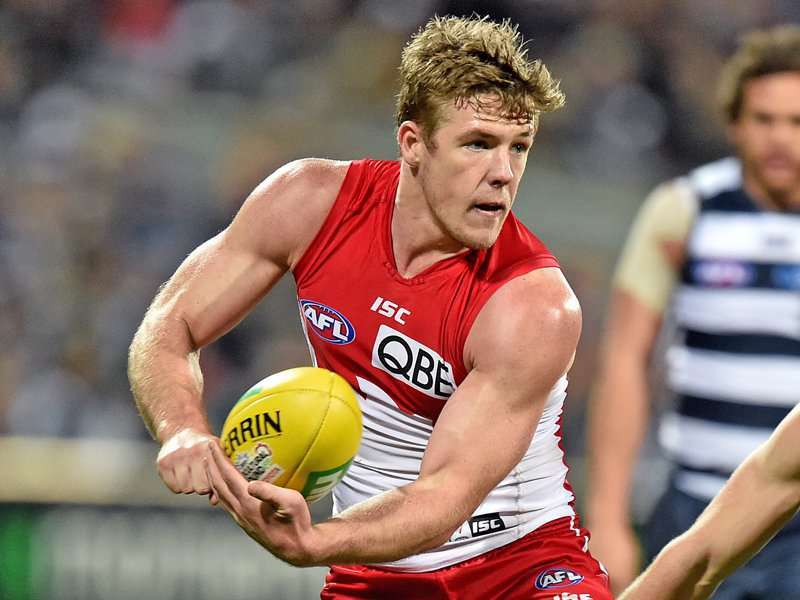 He made his senior debut in 2011 season and won the Bob Skilton Medal as Sydney's best and fairest player in 2014 and was the runner-up in the 2016 Brownlow Medal.